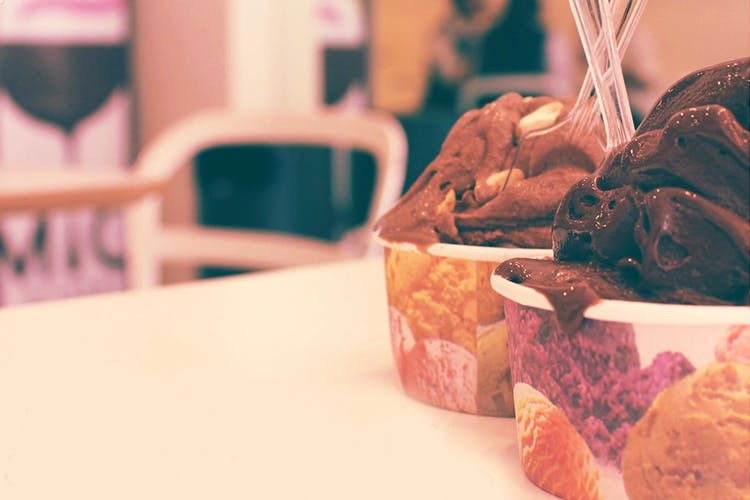 This place offers the best variety of ice creams ranging from sorbet gelato to rum and whiskey-flavoured ice creams. An ice cream parlour that you’ll never want to leave, Milano Ice Cream is a real treat for those with a sweet tooth. It also has ice cream cakes and some delicious desserts. Did I forget to mention that this place has an amazing ambience? I visit this once a week since I live close by. And every time I come here, 50 per cent of the menu changes. They keep adding new flavours, and that too seasonal ones. Yum. What makes this place one of my favourites is the premium quality of ingredients, luxurious flavours and inexpensive prices. The rum and whiskey-flavoured ice creams are delicious. Well, it’s ice cream and dessert, so basically it’s for the entire universe. They have an Ice Cream Of The Month, and all through that month, you can get a scoop of the particular flavour for just INR 20.